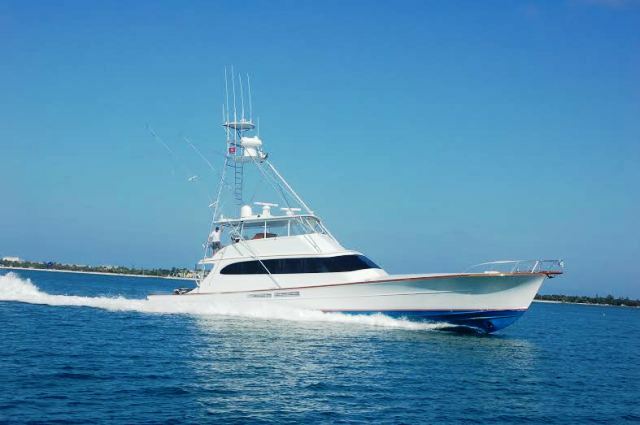 This gorgeous sportfish is as much a yacht as it is a fishing boat. Perfect for catching sailfish, sharks, tuna, mahi, pleasure and more! Please call us for info on multi-day trips. This boat is far and away one of the nicest charter fishing boat in the area. It is rare to find a boat of this caliber available for charter. Varnished teak everywhere, and an over the top interior. It has classic lines, African mahagony wood throughout Lavish leather and fabric interior furniture, and High-definition satellite television in all rooms.